Officials say the officer opened fire and shot him through the windshield, striking him twice. A North Philadelphia man is in critical condition after investigators say he tried to attack police officers while naked and was shot in the process. Officials say a 39th District Police Officer was patrolling the area of 22nd and Allegheny Avenue around 5:10 a.m. when he spotted a naked man acting in a very "unstable and violent manner." Police say the man, identified as Markim Summers, threw a large metal newspaper box as well as large rocks at cars that were passing by. 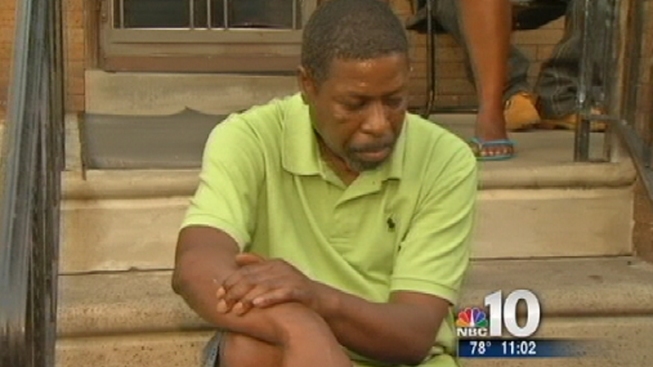 Summers was also lying on the ground in the middle of the street in front of a SEPTA bus, according to investigators. The officer requested backup and then began to follow the suspect as he walked down 22nd Street and onto Westmoreland Street. Summers was then met by two other responding officers, according to investigators. Summers then allegedly slammed his hands on the driver's side door of one of the police vehicles. He then allegedly turned toward another police vehicle and punched the windshield, causing it to shatter and explode. Officials say the officer inside drew his weapon while in the driver's seat and fired through the windshield. Summers was struck once in the right chest and once in the right elbow. Police say Summers walked down to Westmoreland and Woodstock streets before collapsing to the ground. He was taken to Temple University Hospital where he is in critical, but stable condition. No officers were hurt during the incident. In an exclusive interview with NBC10’s Na’eem Douglas, Summers’ father, Gregory Lassiter, says that his son was high on drugs but did not deserve to be shot twice by police. “He didn’t have nothing on. He had on his boxers…high. There are different ways to handle this situation than with a gun. I'm quite sure they knew that,” Lassiter said. The officer who shot Summers will be placed on administrative duty as internal affairs investigate the incident. The District Attorney's Office will also review the case. Another shooting took place in North Philadelphia shortly after 3 a.m. Police say a 16-year-old boy was walking home on the 1500 block of Judson Way after buying food at a Chinese restaurant. Suddenly, investigators say, someone opened fire and the teen was struck in the upper left thigh. The teen was taken to the hospital where he is in stable condition. Investigators are unsure at this point whether the teen was the intended target or an innocent bystander. No arrests have been made.